It is now officially Fall where we live and my preschooler and I had a "date" on Saturday afternoon to go acorn hunting at a local park. Have you ever tried that before? 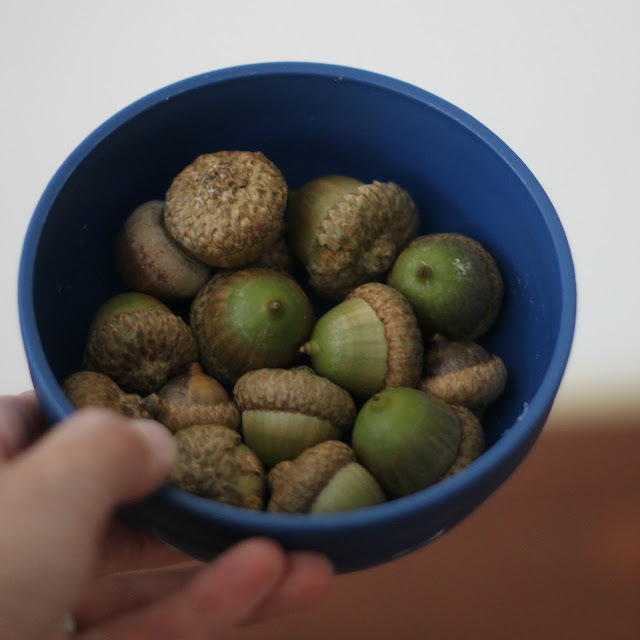 Usually I grab fake acorns at the craft store, but we remembered that the park has an awesome tree that drops acorns, so we found a dozen or more and brought them home to use this week for projects! We love acorn crafts and activities, especially acorn suncatchers and acorn alphabet matching. 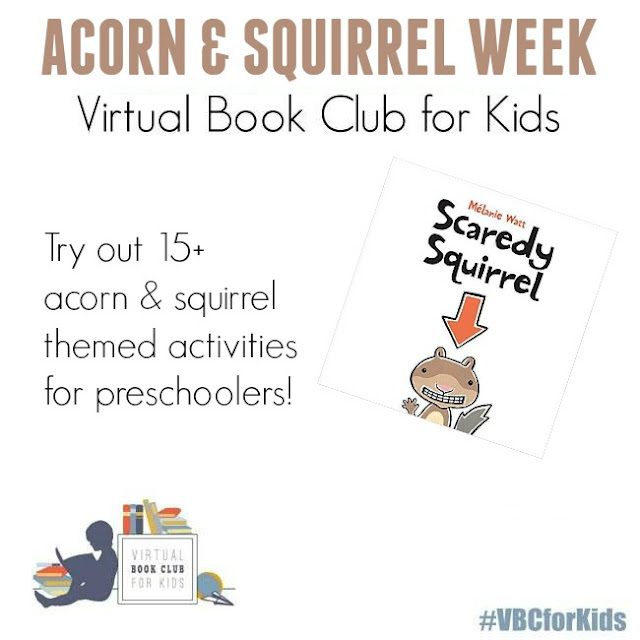 This week for our Weekly Virtual Book Club for Kids we are sharing several children's books about acorns and squirrels and lots of crafts and activities! Our featured book this week is Scaredy Squirrel by Melanie Watt. 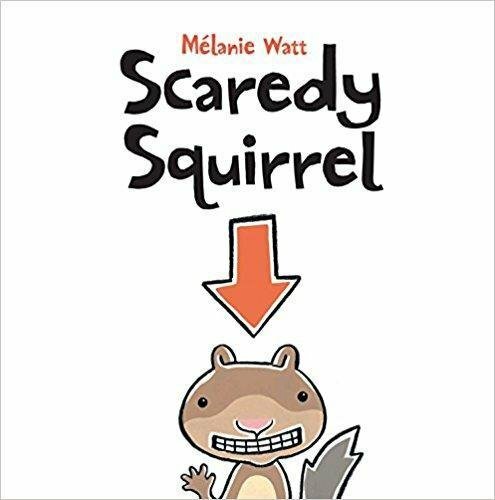 In our weekly newsletter we are also sharing our free monthly activity calendar with additional favorite acorn and squirrel books that you can check out. This week for our acorn themed activity we are doing some ACORN RAMP PLAY! First we hunted for acorns. Next, we prepared our ramp. We used a chip box and then we flattened it and taped it to make a ramp. Next, we taped white paper on top of the ramp so that the kids could see the acorns more clearly. Brown and green acorns rolling down a brown cardboard ramp are hard to see. Finally, we secured the ramp in place using more tape. 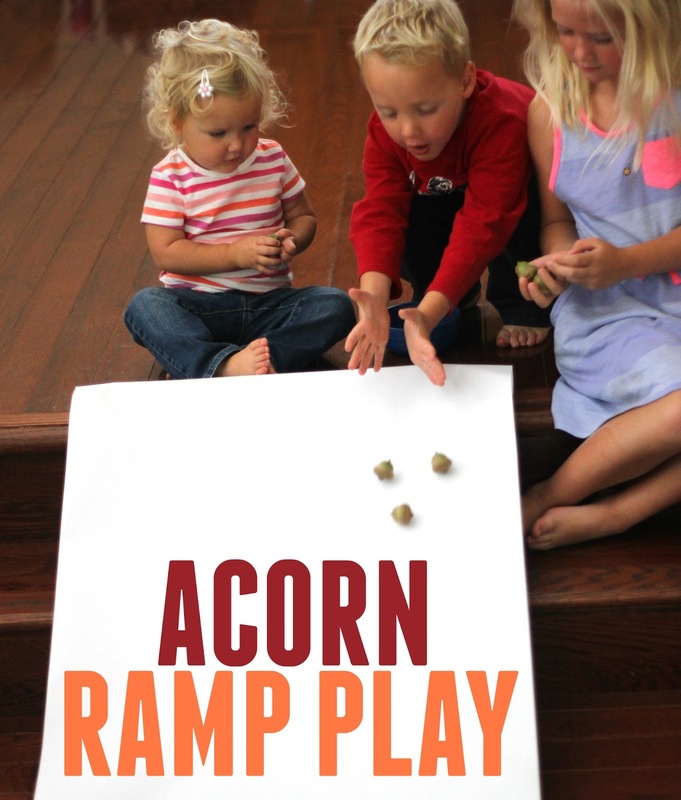 Once our ramp was ready, we added a bowl with acorns in it to the top of the ramp and then the kids started rolling the acorns! The kids raced the acorns against each other, tried different ways to roll them down, threw them down the ramp, and let them roll really gently. They loved predicting which acorns would roll the fastest and then seeing if their predictions were correct after they rolled the acorns! The kids sometimes took turns rolling and acorns and sometimes they rolled them all at once. My toddler worked on saying the word, "more" and signing for it as well and my big kids would respond by running around and collecting more acorns for her once her bowl was empty. Activities like this that are engaging and fun are GREAT times to introduce new vocabulary words. She also learned the words acorn and roll. NEED SOME MORE ACORN & SQUIRREL THEMED ACTIVITIES?